If you’re one of the many people who finds themselves very much in love with their Apple products, you’re probably looking for the best accessories to go with them. Whether you own an iPhone 6 or 6s and an Apple Watch, this handy list should give you all the information you need to make some worthwhile purchases in the name of improving and enhancing your Apple experience. The products are listed in no particular order, though we tried to think of the main concerns for dual iPhone 6/Apple Watch owners in terms of accessories and gave those priority over accessories which are good for one or the other. It’s simple, it’s sleek, it’s inexpensive, and it holds/charges both your iPhone 6 and your Apple Watch at the exact same time. By including both a lightning cable for your phone and magnetic charging station for your Watch, you’re able to keep both devices in the same place, whether that be your bedside table at home or your desk at work. 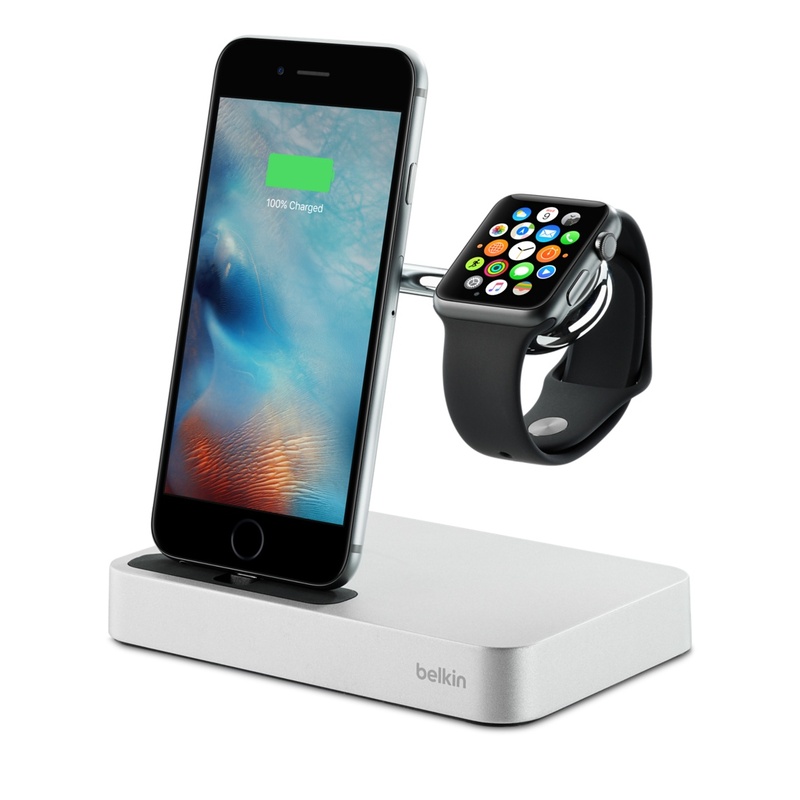 The minimalist design was fashioned in a way that both devices are resting at the prime viewing angle, so you’ll never miss a text or notification even when recharging with this great product from Belkin. If durability is what you’re looking for in a speaker, you can’t go wrong here. This bad boy was made for the rugged outdoorsman, so whether you’re fishing, biking or camping, you have a Bluetooth speaker to bring along in order to enjoy your favorite tunes at a moment’s notice. There’s also a flashlight on top, a bike mount, and a charging cable to keep your phone at full battery no matter where you are. These guys give you just about the best sound you can find for in-ear headphones at a decent price point. Booming bass and crisp highs make your music experience that much better, and the headphones come with the mic and volume controls on the cord that you’re used to with your vanilla iPhone headphones. These aren’t really compatible with the Watch, so only pick a pair up if you do your primary listening via your iPhone. 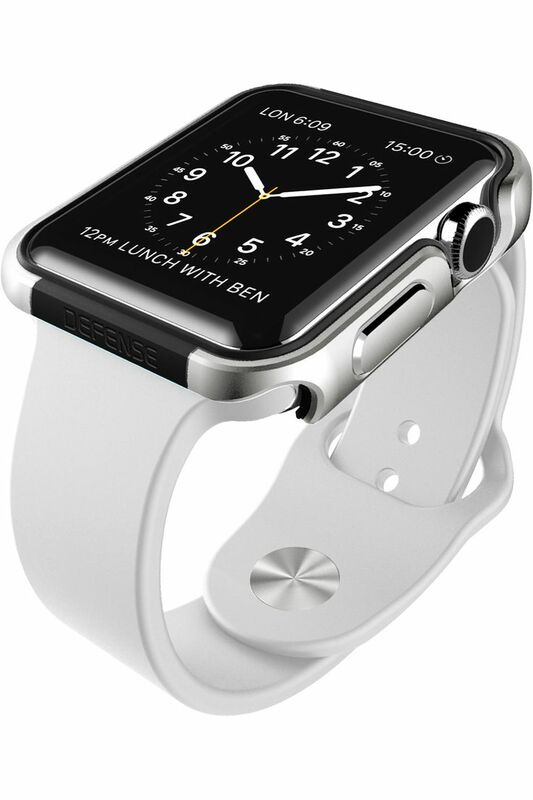 This one is just for the Apple Watch, but it’s a fantastic case that will do a great job of not only protecting your device, but not detract from the sleek design of the Watch itself. It’s made out of aluminum with a rubber lining inside, so it’s lightweight without sacrificing durability. Available in gold or silver, the Defense Edge case also has its own fashion appeal. If you’re going to protect the Watch, you have to protect your phone, too. The Otterbox Commuter is cheap, it’s durable, and I can’t tell you how many times it’s saved my iPhone. The sleek, slim design ensures that your pocket won’t feel tight when going about your day, but the case is still strong enough so that you won’t have to worry about the occasional drop. Dr. Dre not only blew other headphone and speaker manufacturers out of the water with marketing, but with an actual quality product, as well. The Beats Pill+ is the newest in the line of Beats merchandise, and it’s perfect for Apple Watch owners- lightweight, portable, quality sound, and the ability to charge your Watch or iPhone are all features here. 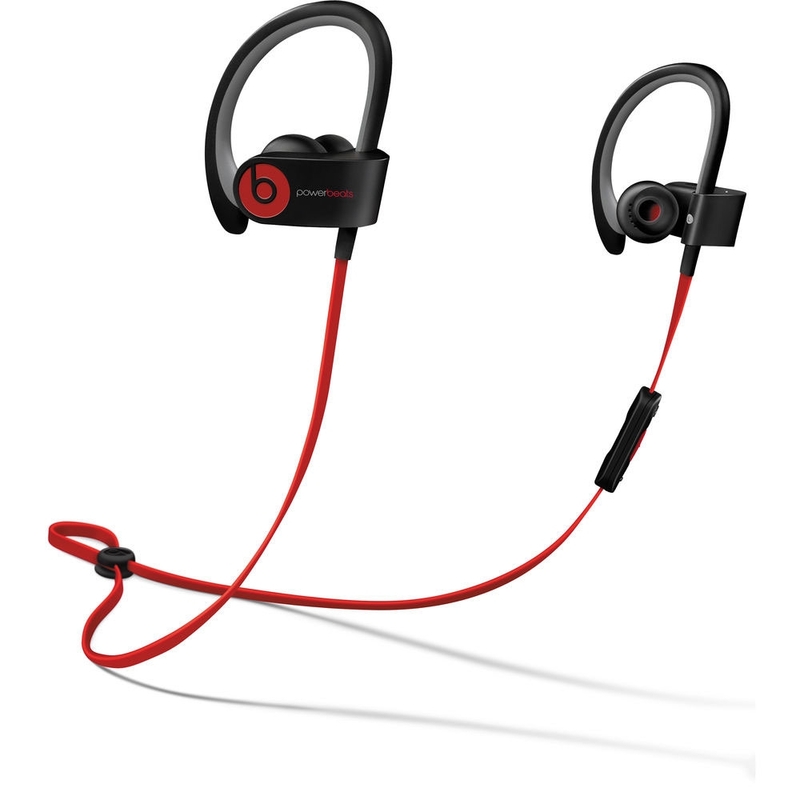 For the Apple Watch lover, Beats also has a fantastic pair of sweat-resistant Bluetooth headphones featuring a built in mic, speaker and volume control that come in a wide variety of colors. The sound quality is pretty nice, and the design is of course beautiful. Those colors mentioned above are also the exact same hues that you’re able to find for your Apple Watch band, so these headphones are definitely made for the fashion conscious. Sometimes you need to take notes or type out a long email, and the only thing you have handy is your phone. With this 6.8mm thick, 6″x4″ (when folded) keyboard, your phone is all you need. It weighs just under 7oz, so portability is a non-issue. It will also work with your iPad which, if you’re like me and do a lot of writing, will be a nice benefit. For those with pets, kids or security concerns, the Withings Home is a fantastic accessory for your Apple Watch and iPhone 6. It’s a small, nondescript security camera that can be viewed any time through your watch or phone, and thanks to its wide angle lens and night-vision mode, you’re able to see quite a bit. The best part? The camera sends you notifications any time it senses movement or noise in front of the lens.